This is a series highlighting folks who identify as Radical Doulas. Are you interested in being part of the series? Email me at radicaldoulaATgmailDOTcom. 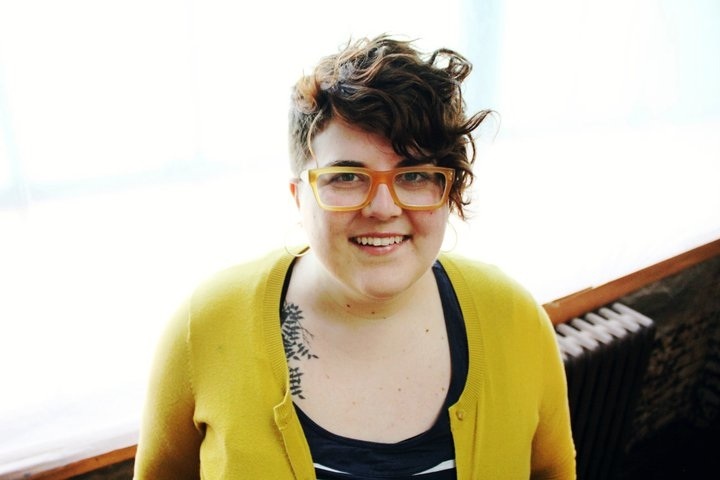 Kate Palmer is a queer, working-class feminist activist and full-spectrum doula living in Chicago. She has spent almost ten years working in abortion care and is currently working with the Chicago Doula Circle, an abortion doula group she co-founded. In addition to that, she works as a private birth and postpartum doula with Kaleidoscope Doula Care. She also co-founded 45 Million Voices, which is organization dedicated to reducing stigma around abortion and serves on the boards of the Chicago Abortion Fund and the Chicago Women’s Health Center. I see being a doula as a political act and I believe that abortion, pregnancy, and childbirth can be a radical act of love and resistance. I’ve held the hands of thousands of people during their abortions and the compassion and love that I’ve witnessed while supporting someone during their abortion has shaped the kind of birth doula that I am today. Being queer and actively choosing to work with queer and trans folks makes me a little different than the traditional doula (and I love that!). My doula philosophy is one of meeting people where they are at and recognizing that everyone views pregnancy and birth very differently. My role as a doula is to empower and educate pregnant people and as long as my clients are aware of their options, I support whatever options they may choose. 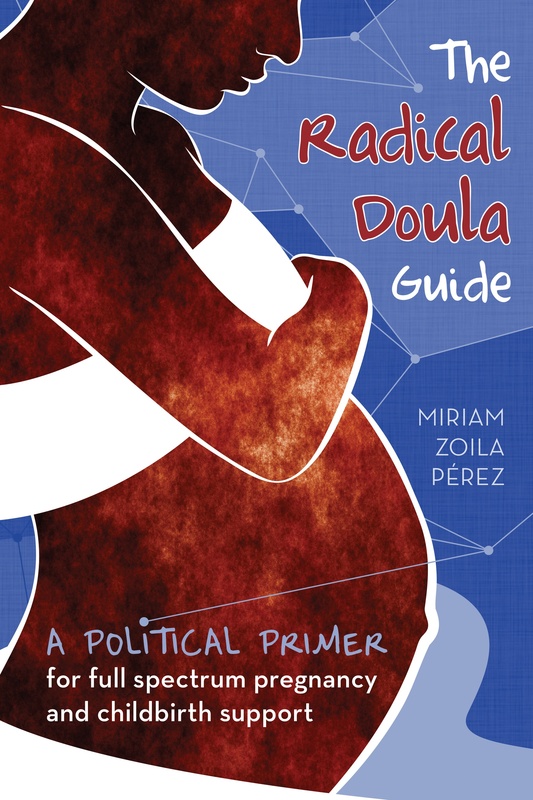 As a working class queer feminist activist, I am also working as a doula to help expand doula love to people that don’t traditionally have access to pregnancy support. I also see the work that I’m doing as part of a larger political context. One of my roles as a radical doula to help bridge the “traditional birth doula” world with the reproductive justice movement. There shouldn’t be such a disconnect between the two worlds. For example, we all should be fighting for greater access for Certified Professional Midwives as well fighting the increasing amount of abortion restrictions. When we only focus our energy on only one side of these issues, instead of seeing it as part of a broader issue of the government and corporations trying to control our bodies and our choices that we make in our lives, it only compromises the end goal and does a disservice to those that we are working and advocating on behalf of. I actually came to the doula world from the world of abortion care. I’ve worked in abortion care for almost ten years and pregnancy histories would always come up when I would talk with patients. Through these conversations with patients, I started realizing how common labor inductions and c-sections were. This led me to start reading more and more about maternal health disparities and the significant role that class and race can play in that. At the same time, friends of mine started asking me to be their support person during their births and I realized that by being a doula, I could combine my passion for reproductive justice with my love of reproductive healthcare. I love that as a doula, I can help advocate and empower folks to make decisions about their bodies. Being with folks and watching them trust their own instincts and find something within themselves that they did not know was there, is truly inspiring. There is also something very magical about being with someone during such an intense, intimate experience. It is hard to pick just one thing! I would love to get rid of the shame and stigma that can come along with pregnancy based decisions. I’ve known so many people who are ashamed that they ended up having a c-section or an epidural or had to formula feed their baby. We need to stop thinking that we know what is best for other people and their bodies or what happened during someone’s labor and delivery. Just like the shame that can be associated with abortion and miscarriage, there is a lot of stigma and judgement that can be attached birth experiences. In my dream world, we would validate and honor all pregnancy and birth experiences. What Kate has to say resonates so much with me. Thank you for sharing the words and work of such an inspiring person! Yes! I really appreciate the message of support for those of us whose choices (and realities we might not have chosen) don’t fit the “natural” norms championed in many doula discussions. Rock on.